EVENT: The final round of the 12-event KOOL/Toyota Atlantic Championship, held on the 1.527-mile street course, as the Sunday prelude to the Texaco Grand Prix of Houston. Sunday's Atlantic race will mark the second straight year the Atlantic series will participate in the Houston event. THE SERIES: The CART-sanctioned KOOL /Toyota Atlantic Championship is a key rung on CART's "Ladder System" and is noted for its long history of graduating its stars into CART competition. 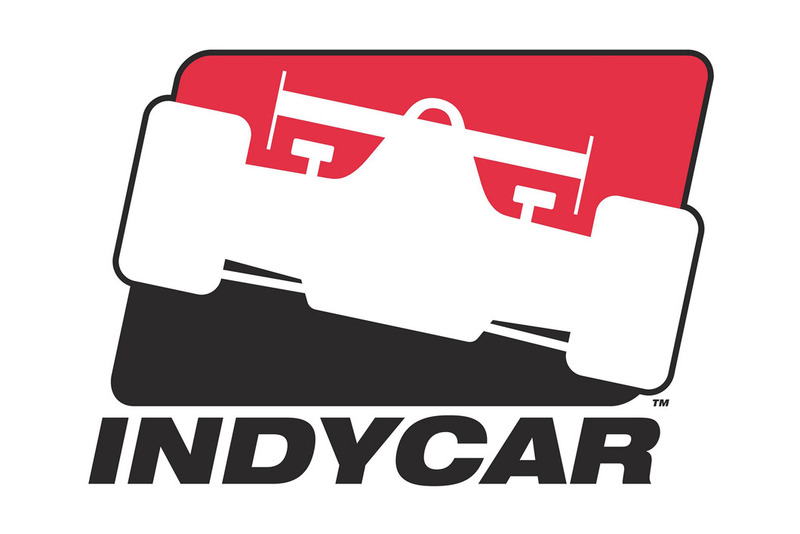 Among the drivers who have graduated from the Atlantic series are CART Champ Car stars Michael Andretti, Jimmy Vasser, Richie Hearn, Patrick Carpentier, Alex Barron, and Memo Gidley, former Champ Car stars Bobby Rahal and Danny Sullivan, as well as 1997 FIA Formula One Champion, Jacques Villeneuve. LAZZARO CLINCHES: Anthony Lazzaro (PPI-MCI WorldCom) won his fourth race of the season at Laguna Seca on Sept. 11, and more importantly, captured the 1999 KOOL /Toyota Atlantic Championship drivers' title with one race remaining. Lazzaro took over the points lead with his victory at Nazareth in the second round, and controlled the championship from that point forward. Kenny Wilden (Shank Racing-Newcourt/Trizec-Hahn) also sewed up second place in the championship with his fourth-place finish at Laguna. However, a battle remains for third place in the final points standings, with Buddy Rice (Lynx Racing), heading into the finale at 112 points, Alex Tagliani (Player's-Forsythe), at 108 points, and Andrew Bordin (PPI-Thyssen/Player's) in fifth place currently at 101 points. RICE READY FOR HOUSTON: Last year, Rice was looking to earn the Atlantic Rookie of the Year honor when he suffered appendicitis just days before the Houston race. Although the appendectomy went well and Rice was able to walk just a day later, he couldn't participate in the Houston finale last year, and finished second in the rookie points, and seventh in the overall points. A strong finish for Rice on Sunday most likely would earn him third place in the 1999 final points. Last year at Houston, Lynx Racing team manager Steve Cameron jumped into the car vacated by Rice and promptly drove to a seventh-place finish. LOCAL DRIVER: Houston's Scott Wood will make his 1999 Atlantic debut in his hometown venue, running the #9 Hylton Motorsports Swift, with sponsorship from Momentum Motor Cars and the Arthritis Foundation. ROOKIE RACE DOWN TO WIRE: Three Atlantic first-year drivers remain in the hunt for the coveted Atlantic Rookie of the Year honor. Sam Hornish Jr. (Michael Shank Racing-APC/Hornish Bros.) leads all rookie drivers with 64 points. 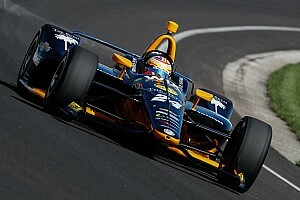 Hornish Jr. climbed to the top of the rookie standings after posting his first Atlantic victory at Chicago in round nine. J.-F. Veilleux (P-1 Racing-Miller Lite) is second in the rookie points with 49, while Vancouver race winner William Langhorne (Active Motorsports-MS Society) is still within striking distance of the rookie honor with 46 points. LAST YEAR AT HOUSTON: Anthony Lazzaro slipped by polesitter Alex Tagliani at the first turn and held him off to win the season-ending race, wrapping up the series' Silver Anniversary year. 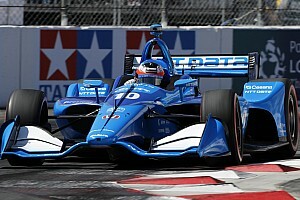 Lazzaro and Tagliani were engaged in some of the tightest racing of the season before steady rain shortened the series' first venture into Texas to just 30 laps, originally scheduled for 45. Before the rain fell, however, Lazzaro and Tagliani ran nose-to-tail. 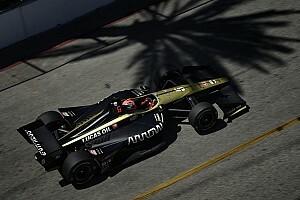 Lazzaro slipped by Tagliani at the first turn following the green flag, but had to endure pressure from Tagliani, Kenny Wilden, then Tagliani again before picking up his third victory in the last four races. Tagliani finished second, his fifth podium finish. Tagliani's teammate, 1998 KOOL /Toyota Atlantic Champion Lee Bentham, was running a very close third when the race was called, and finished third. TELEVISION BROADCASTS: ESPN2 will televise Sunday's KOOL/Toyota Atlantic Championship race at Houston on Sunday, Oct. 10, at 6 p.m., with repeat broadcasts on Wednesday, Oct. 13, at 1:30 a.m., and again at 1 p.m. The French-speaking RDS Canadian network will broadcast the race on Saturday, Oct. 16. Check local listings for the RDS time. ESPN International will televise the Houston race on Sunday, Oct. 10, at 6 p.m.. All times are Eastern. Canadian broadcaster CTV SportsNet is airing the race on Tuesday, Oct. 5, at 8 p.m. in all local markets. SEASON FINALE: Sunday's race at the Texaco Grand Prix of Houston will conclude the KOOL/Toyota Atlantic Championship's 26th season.